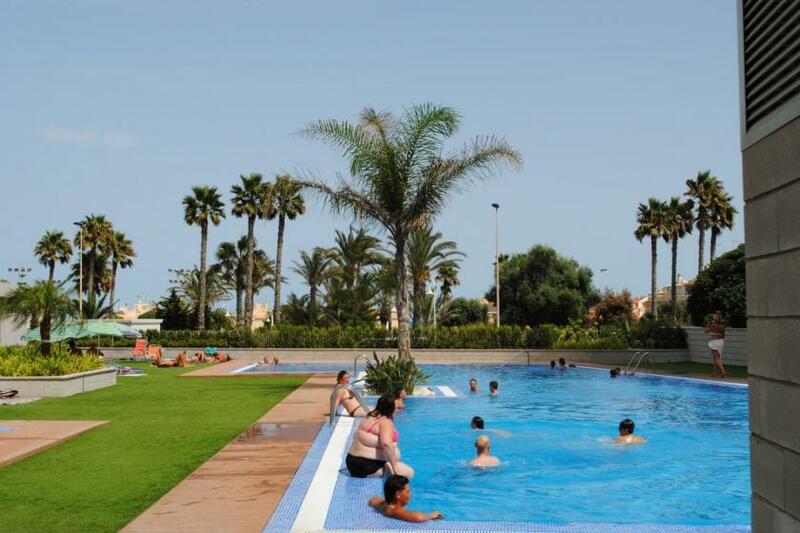 This beautiful coastal residential complex Aqua Nature is located in Torre La Mata, a seaside resort located between Guardamar and Torrevieja. The immediate vicinity has a host of beautiful long beaches and a wide range of facilities that provides you in your daily needs. Aqua Nature consists of 5 buildings, each with 8 floors of which location almost is 1st line, has commercial center areas and the apartments offers magnificent views of the sea. 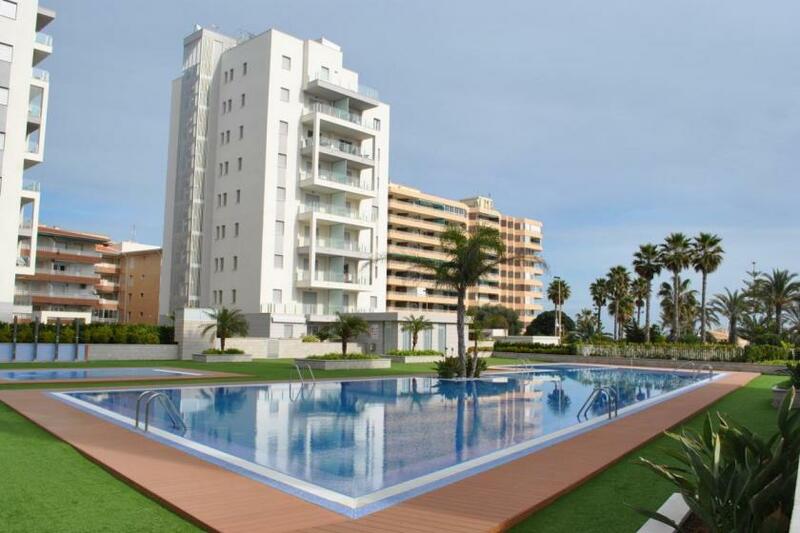 This modern decorated apartment is located on the 2th floor has been carefully designed and features plenty of natural light. The furnishings and the finishes are of good quality and space is optimally used. There are 2 bedrooms, 1 x 2 and 2 x 2 sleeps, 2 bathrooms, shower + shower facility and the living room is furnished with air conditioning, hot and cold, flat screen SAT TV, BE, NL, and lots of other international channels. There is internet through a WiFi connection. The modern kitchen is fully equiped with dishwasher. From the terrace, provided with glass curtains, you have spectacular views towards the sea and the beautiful landscaped common garden and swimming pool. 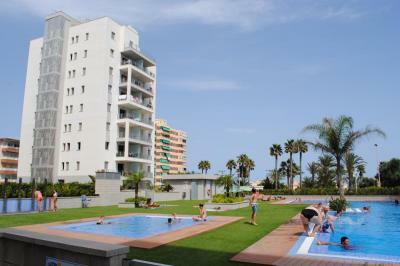 An apartment where you can fully enjoy the sea, the beach, the nature and the many services that are here. You can find all this within walking distance!